The City of Waterloo is a lower-tier municipality in the Regional Municipality of Waterloo approximately 100km west of Toronto. Having key staff and Council members champion Complete Streets made Waterloo a pioneer and the second municipality in Canada to adopt a Complete Streets policy. Waterloo was included as a case study in TCAT’s Complete Streets Gap Analysis. Complete Streets was adopted by Waterloo City Council as the overarching policy within the Transportation Master Plan, April 2011, intended to support the City’s strategic vision of a “City that is truly accessible to all”. 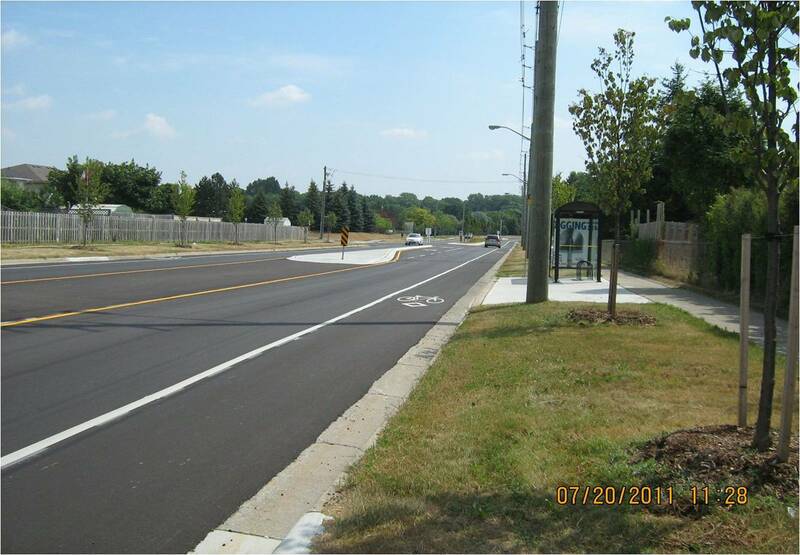 Davenport Road in Waterloo, Ontario was one of nine Complete Streets projects profiled in TCAT’s Complete Street Transformations. Before the redesign, Davenport Road was in poor condition (it was built in the 1970s). The layout contributed to speeding and car accidents. 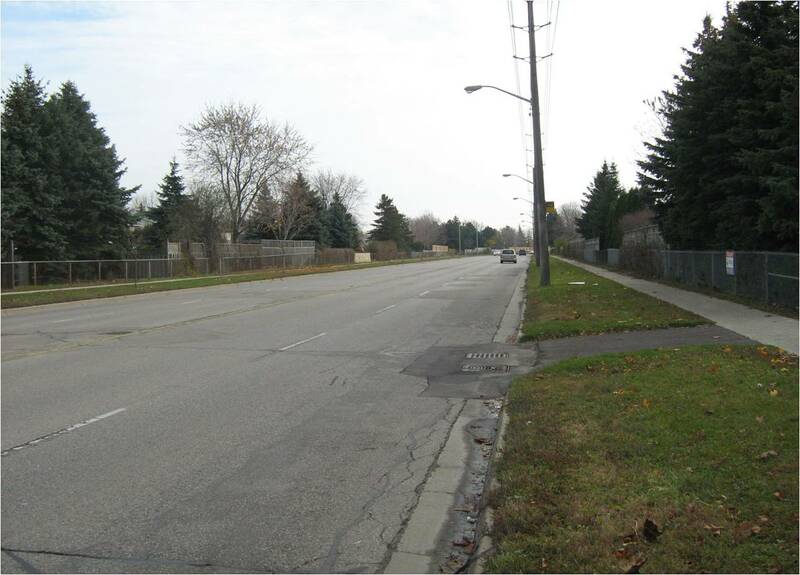 At the same time, pedestrians and cyclists commonly used the road to reach Conestoga Mall and nearby neighborhoods. A traffic study completed in 2006 recommended a number of traffic calming solutions as well as bicycle facilities to address the problem. In April 2006, Waterloo Council gave their support to the recommendations. Two public information sessions were held for this study to provide the community and area stakeholders input into the final outcome (City of Waterloo, 2011). The Davenport Road redesign was made possible through the Build Canada Fund. The goal of the redesign was to: reduce automobile collisions, implement cycling infrastructure as directed by the cycling master plan, encourage active transportation by connecting two residential neighbourhoods and a regional shopping mall by installing multiple crossing opportunities, and provide transit improvements through bus pads and shelters. Collision rate declined from 16 per year from 2004 to 2008, to 12 collisions per year from 2012 to 2014. Automobile operating speed (85th percentile) has dropped from over 70km/h in 2005, to between 62 to 66 km/h in 2015. Average speeds have dropped as well, and are now closer to the 50km/h limit.